Glyph of Chimera Shot will now properly increase the healing from Chimera Shot from 5% to 7%. Chi Spheres are no longer consumed by the Monk when they are at full Chi. Spear Hand Strike now properly causes the target to be locked out of the school of the interrupted spell. Holy/Discipline PvP 4-piece set bonus will no longer reduce the cooldown of Silence incorrectly. Cleaning House: Players should now be able to obtain credit for defeating Fizzy Yellow Alemental and complete the quest. Giant Dinosaur Bone: This quest is now a proper daily quest and can only completed once each day. Plunder the Black Temple: Door to the Den of Mortal Delights should now open properly when the player reaches the appropriate step in the quest. The Warren-Mother: Players should now be able to obtain credit for defeating Chaufa and complete the quest. Where are My Reinforcements? : Players should now be able to receive completion credit after speaking with Ban Bearheart. Ra'sha now scales their health based on the number of players they're engaged in combat with. Zandalari Prospect now properly drop loot. Experience gains from winning a Pet Battle have been reduced. Heirlooms and experience buffs will now correctly increase the amount of experience gained from winning a Pet Battle. A brief explanation and list of exact changes to Pet Battle experience could be found here. Ghost Iron Lockbox and Elementium Lockbox are no longer eligible for need rolls. The appropriate number of tier tokens should now drop for 25-player normal and heroic difficulties. Patroller's Girdle of Endless Spring should no longer appear in Cache of Mogu Riches for Druids. Nullification Barrier once again negates the shield thrown by Feng the Accursed. Blade Lord Ta'yak and Wind Lord Mel'jarak as well as their minions are now affected by the Klaxxi Resonance debuff. Crazed Storm-Caller should now be able to use the spell Storm Energy. Roaming Fog should no longer cause Druids to drop out of shapeshift form. Spirit Flayers now despawn when Stormbringer Draz'kil is defeated. Spiritfire Beam will now only jump to targets less than 3 yards away. Torment now has a duration of 10 seconds. Season 13 one-handed weapons, excluding the Spellblade and Gavel had their cost reduced from 2250 to 1750 Honor or Conquest points respectively. Players taking periodic damage while in PvP should no longer stand up while eating or drinking. Big Zokk Torquewrench is going on a short leave of absence to take care of unfinished business. Primal Diamond no longer requires an anvil to craft. Serpent's Heart no longer requires an anvil to craft. Mistlurker Helm, Mistborne Hood, Mountainscaler Hide Helm, and Mountainscaler Satin Hood should display the item information correctly and appear when worn. Overgrown Lillypad now works when on the Isle of Thunder. Thunder Caressed Waistguard now gives a bonus to Expertise instead of Parry. Fixed an issue where players could be placed into the incorrect phase after abandoning the quest, "Inherit the Earth". Fixed an issue where Occupied Soil would sometimes not update correctly or become non-interactive after clearing the associated Squatting Virmen. //bnetcmsus-a.akamaihd.net/cms/blog_header/TAN8CU94KV8P1290560945223.jpg Here you'll find a list of hotfixes that address various issues related to the recently released World of Warcraft patch 5.2. Hotfixes are updates we make on our end without requiring you to download a new patch. Some of the hotfixes below went live the moment they were implemented, while others may require your realm to be restarted to go into effect. Please keep in mind that some issues cannot be addressed without a client-side patch update. We will continue to update this list in the days to come as additional hotfixes are applied. 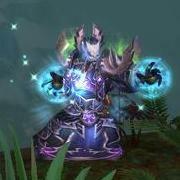 Throne of Thunder Twin Consorts Cosmic Barrage now summons 4 Crashing Stars (down from 6) on 10-player Normal, Heroic, and Raid Finder difficulty. 8 Crashing Stars (down from 12) are summoned on 25-player Normal and Heroic difficulty. Warlock Destruction	Fixed an issue where targets of Havoc were receiving more damage than intended from Immolate. Throne of Thunder	Ra-den Fixed an issue where it was possible to have 2 instances of Unstable Vita active during the Ra-den encounter. Twin Consorts	Crane Rush now deals 5 million damage, down from 30 million damage in Raid Finder difficulty. Druids Glyphs	Glyph of Regrowth should now properly remove the periodic component of Regrowth while active. Throne of Thunder	Durumu the Forgotten Durumu will now have a longer delay before resuming his attacks while the maze of Eye Sores despawn. Iron Qon	During the final phase of the encounter, Iron Qon's Quilen champions should no longer try to reposition themselves in 10-player and 25-player Heroic difficulty. Reduced the health of Ice Tomb. Ji-Kun	Fixed an issue where players with Daedalian Wings may incorrectly receive the Lesson of Icarus debuff while flying between some of the upper nests. Primordius	Fixed an issue that could cause Fully Mutated players to deal excessive damage to Living Fluids or Viscous Horrors that are under the effects of a Warlock's Immolate. Reduced the health of Primordius by 11% in 10-player and 25-player Heroic difficulty. Reduced the health of Viscous Horrors by 15% in 10-player and 25-player Heroic difficulty. Tortos	Fixed an issue where certain situations could cause Whirl Turtles to travel more slowly than intended when kicked. Twin Consorts	Reduced the health of Lu'lin and Suen by 10% in Raid Finder difficulty. Below is a listing of 5.2 Hotfixes by date. A compilation of 5.2 Hotfixes is also available. Paladin Item Sets Tier-15 Retribution Paladin 2-piece set bonus will no longer interrupt the Paladin's weapon swing timer when Exorcism is cast. Brutal Talisman of the Shadow-Pan Assault now grants a reduced bonus of 6908 to Strength when the effect is activated in PvP combat, down from 8800. The bonus remains unchanged when the effect is activated in PvE combat. Vicious Talisman of the Shadow-Pan Assault now grants a reduced bonus of 6908 to Agility when the effect is activated in PvP combat, down from 8800. The bonus remains unchanged when the effect is activated in PvE combat. Hunter Talents Powershot now has a 25% decrease to damage, cast time, cooldown, and focus cost. Throne of Thunder Durumu the Forgotten Safe spots in the maze of Eye Sores now appear earlier, before the Disintegration Beam starts moving. Adjustments were made to visual effects for Eye Sores to make it easier to see the maze. Primordius Mutated Abomination effect once again reduces his damage taken from non-Fully Mutated players by 75% on 10-player and 25-player Heroic difficulty only.